News is the best communication of the information about the particular events, which is shared to the people in different ways like using news letters (news paper), television, broadcast, radio etc. But now a days there’s no time for the people to get the news because of their busy schedule, if you are much interested to now about the world news there are some cool apps for android to publish the news. So now am going to share the best free news apps for android. Feedly is the news aggregator app for the various browsers and smartphones that are having the Android, Windows and iOS operating systems. Feedly has attracted many of the google readers because of its nice elegant magazine style, its user interface and delivers the content quickly to get the best experience for the user its one of the popular news apps. 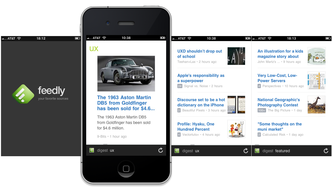 For free download feedly app for smartphones, click here. —–>You can browse the content of your favourite site and places. —–>Sharing of the content is allowed for the social networking sites like Twitter, Facebook and Google+. —–>It has navigation menu which can be swiped with the list of all the feeds. —–>Well designed in a simple way, applicable for free download with a size of 4.1MB. Flipboard is a single area where we can discover and collect all the world news at a time. Its a magazine supported mobile app that is available in 20 language formats. It is inbuilt with a software that collects the information from the social media and other websites and shows in a mazagine note in a particular format that is because of this its called as the world news app. 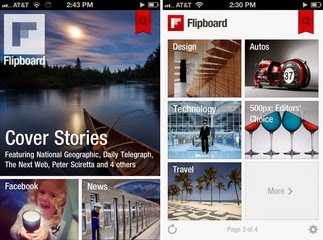 For free download flipboard app for mobiles click here. —–>Supports all the mobiles and tablets that have android, windows operating system. —–>It has stunning designs and best layouts that are shown in the newspapers and magazines. —–>This app is available for free download with a size of 3.6 MB. —–>App is powered by the plus button, on tapping this button gives the next information. Pocket is one of the best news app which allows the user to read the information later. In this app if you want to view something more interesting you can read it later by keeping the content in pocket. You will get the more interesting articles in this app, available in different languages. This android news app has different styles and layouts. For free download pocket app for mobiles click here. —–>Its the great news apps that supports android, windows, iOS, Blackberry and web browsers. —–>Automatically syncs your phone, tablet or computer that can be viewed at any time. —–>Displays each article with a stripped back, different layouts available in different themes. —–>Pocket app is available for free download with a size of 2.7MB. Hope that now you what are the best news apps for android, you can also get them here like if you have these news apps as paid versions then even then you can get the paid android apps as free from the appvn apk and download Appvn from here, with these all the paid apps are available for free. If you have any queries regarding best android news app feel free to comment!!!! !…..